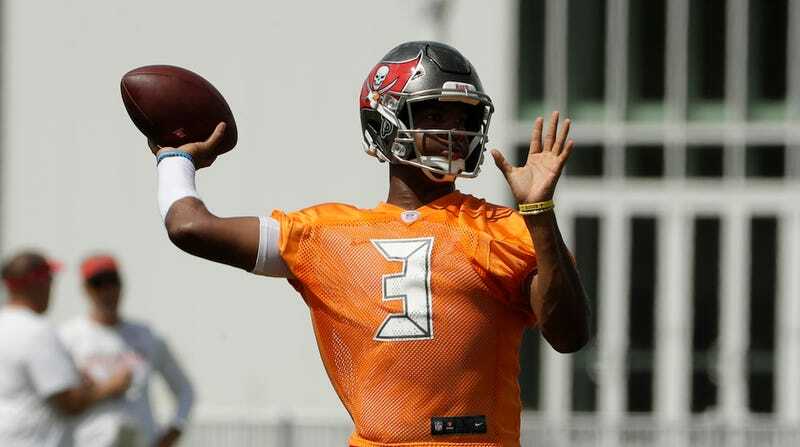 The NFL plans to suspend Buccaneers QB Jameis Winston for the first three games of the season for “violating the league’s personal conduct policy,” per ESPN’s Adam Schefter. This confirms ESPN Tallahassee host Jeff Cameron’s earlier report that the disciplinary action is in response to an incident in Arizona where an Uber driver accused Winston of groping her at a drive-thru window. The alleged sexual assault took place after Winston’s rookie season in March 2016, though the league didn’t begin looking into it until BuzzFeed News reported it in Nov. 2017. Last month, multiple sources said they did not expect Winston to be disciplined over the Arizona incident. But whatever the facts were unnerved the NFL and Friel enough that is now preparing to hand down a three-game suspension that still could be altered based on any last-minute findings.